Life Long Personalized Care – At Boulder’s Natural Animal our client's and patient's needs come first. With the understanding that everyone is different we believe that clients should be given the opportunity to play an active role in the health and wellness of their animal companions. We will provide and explain the value of multiple options of care so that together our doctors and clients can come to the best plan that makes sense for everyone – for the whole life of your pet. Integrative Care – Boulder’s Natural Animal offers the very best of both traditional and complementary medicine. Every animal will be viewed as an individual with individual needs. We have a multitude of wellness tools at our fingertips with a fully stocked pharmacy, state-of-the-art surgical suite, Advanced Dental Healthcare, and in-house laboratory and radiology. To help us enhance those tools we are also able to offer some traditional Chinese herbal remedies, a vast array of top-quality nutritional supplements including dog and cat food, dietary counseling, low level laser therapy, acupuncture and a wide variety of other Integrative options. Using all these tools, together with the input from our clients we can tailor the medical care plan to the needs of each and every furry creature that comes through our doors. Commitment to the Special Bond our Clients Share with their Pets – We believe that the human-animal bond is a treasure to be celebrated. Every experience our clients and staff have is attuned to that philosophy. 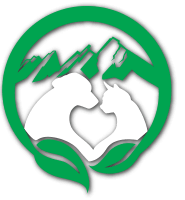 At Boulder’s Natural Animal Hospital you will always feel like you are amongst a family of people and animals who care deeply about the wellness of you, your pets and the special link we all share. Certified Feline Friendly Hospital – In January of 2014 we became the first veterinary hospital in the City of Boulder to achieve the Feline Friendly Practice Certification per the certification program created by the American Association of Feline Practitioners. It’s another way to show our commitment to the highest level of care for all our patients and the people who love them. It’s also a commitment to continue educating ourselves to stay on the cutting edge of feline healthcare. To learn more about the Feline Friendly Practice certification, click HERE. Commitment to Improvement – Our ultimate goal is to be able to provide the best possible wellness and health care for our patients. We are committed to learning, growing, listening and communicating amongst our selves, our clients and our community. We welcome the thoughts, wishes, joys and critique our staff and clients have to share. We embrace education, increasing services, improving flaws and community involvement. At Boulder’s Natural Animal Hospital every single person and pet that passes through our doors is viewed as a crucial part of what makes us succeed. We are always here to listen and look forward to those opportunities. Additionally, we are committed to staying on the cutting edge of veterinary medicine by partaking in a variety of continuing education experiences. We regularly attend and even host educational experiences for our entire staff. Digital X-Ray - We now offer the most up-to-date and safest method of performing dental and body x-ray diagnostics. Digital x-ray makes our x-ray diagnostics faster, safer and as high quality as available on the market. Being a fully digital hospital is another example of how Boulder’s Natural Animal is committed to providing the best possible care to your pets. Canine Massage/Rehabilitation - While we do not currently offer canine massage or rehabilitation services on-site we are big supporters of their benefits! Canine therapeutic massage can be beneficial for a variety of situations from pre or post surgery to sports injuries to simply providing relaxation and a sense of well-being. It’s another way we believe we can focus on our patients as a “whole” individual. For more info on Canine Massage go to www.stellaearth.com or www.healtohowl.com. Additionally, advances in Canine Rehabilitation have vastly improved quality of life for our dog friends. Check out www.dog-swim.com to learn about CRCG and the rehab services they offer. “Pet-U-Cation!” – At Boulder’s Natural Animal we will do our best to offer you all the knowledge we have. After all, knowledge empowers you to make decisions you are comfortable with and believe in. It’s part of our mission to make every experience as personalized as possible. As part of our goal of “Pet-U-Cation” we will periodically publish informative pages on our website. Strong Local Partnerships – While we pride ourselves on the variety and quality of services we offer we can’t do it all alone. That’s why we work hard every day to develop strong relationships with local partners in the pet industry. And we don’t just partner up with anyone – you can be comfortable knowing that the businesses we associate with are the very best at what they do in the pet care industry. Businesses like Stella Earth Dog Massage, Flatirons Veterinary Care Housecalls, Out-U-Go! Pet Walking/Pet Sitting, Only Natural Pet Store and many others. If there is something you need for your furry friend that we can’t provide, chances are we know someone you can trust who can. Commitment to Community Service – We believe that an important part of being a leader in our industry is giving back to the community that supports us, and beyond. We practice that in our everyday activities in many ways from being advocates for our clients and patients to regularly donating to causes both local and global. But it doesn’t stop there – we have challenged ourselves to constantly seek new and innovative ways to utilize who we are and what we do for the greater good. For example, we regularly host children’s groups from local schools or clubs for a “Behind the Scenes” extended hospital tour to look at how a veterinary hospital works and a Q&A session with a doctor. Our Hospital Administrator, Josh Vaisman, has taught the Veterinary Science merit badge courses at the Boy Scout’s Merit Badge University since 2011. He also serves on the Board of Directors for Greenwood Wildlife Rehabilitation Center which we actively support. We’ve even hosted charity events like our Pampered Pooch Spaw Day which raised over $1200 for the relief efforts in post-tsunami Japan. In 2013 we helped create and host what we think is the first dog-centric “Amazing Race” called the Paw-Mazing Chase benefiting Canine Partners of the Rockies. From big to small, public to behind the scenes, serving our community is a big part of who we are. It is our goal to provide an environment that celebrates and fosters the bond between humans and their animal family members. To achieve this goal we will provide the very best value in both traditional and integrative veterinary care and will do so with compassion, empathy, and a personalized touch. To our clients we vow to provide individualized attention focused on understanding, education, and multiple options for care. We believe that clients should be given the opportunity to take an active role in the wellness of their animal companions. To our patients we vow to treat each one as if they were a part of our family and offer a place for the highest level of health and healing. We believe that each animal is an individual deserving of the best personalized care available. To our staff and the community we vow to set the standard for small animal care and take an active role in the world around us. We believe that the desire to always be the best at what we do requires constant personal education, an undying desire to improve, and taking an active role in community service.